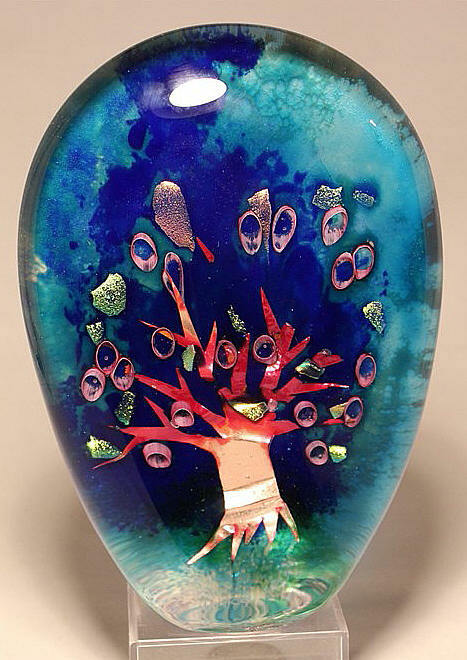 GlassMaster Collette Fortin, Tree of Life Judaica Series. Beautiful paperweight from Neptune Hot Glass, with "Treasure Window" (flat format). Additionally it has a copper leaf on the background. Signed Fortin & approx. 6.5"h x 4.50"w x 1.68"d.